My 7 month old daughter Brantli is a real live cabbage patch babydoll! 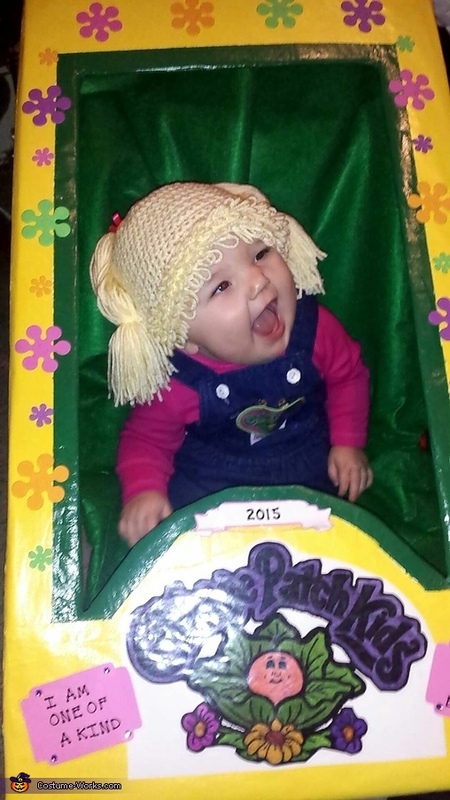 The box she comes in was painted with love and made to fit her stroller. Her outfit consisted of a pair of overalls that were once wore by her mother some 20 years ago. Her costume idea came from her chunky cheeks. Everyone always comments on her cheeks, and some has even refered to her as a cabbage patch doll. She truly made the perfect Cabbage Patch Babydoll!